Lead new manufacturing or repair implementation projects. Ensure timely completion of tasks within assigned projects. Projects will include developing new products, compiling customer approval packages, setting up shop capabilities for new processes, generating shop documentation, overseeing production of prototype parts, recognizing opportunities to incorporate advanced manufacturing methods. · Develop new product manufacturing or repair capability, generate necessary documentation, and establish shop processes and procedures to accomplish needed production. · Oversee implementation of shop processes necessary to accomplish production, including prototypes to verify manufacturing capability. · Work closely with Tool Design for tooling/fixturing/gaging concepts, designs, costs, methods, etc. · Use of manufacturing machines and equipment, e.g. lathe, CNC mill, manual mill, surface grinder, heat treat oven, thermal spray, hand tools, etc. 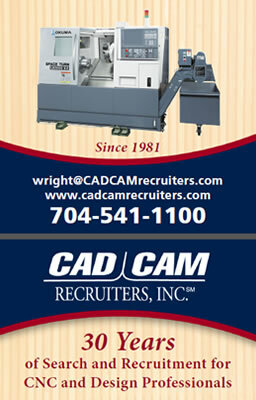 · CAD proficiency in UG/Nx, Pro-Engineer, Solidworks, etc. · Strong sense of work ownership, self-motivated, and driven to bring projects to completion. · Compile thorough cost-to manufacture analysis. · Knowledge of typical manufacturing processes: machining, blending, tumble finish, welding, thermal spray coatings, brazing, heat treat, peening, chemical cleaning, FPI, ultrasonic inspection, etc. · Degree in engineering discipline, a plus. · Working in a production environment under tight Quality Control requirements. · Familiarity with turbine engine repair, engine manuals, powerplant engineering, FAA regulations, a plus. · Interfacing with large OEM customers in developing manufacturing capability. WORK ENVIRONMENT: The work environment characteristics can be obtained from the Human Resources Department. Repair Development Engineer. Only real difference between this and a manufacturing development engineer is that he/she will work from a repair instruction manual from the turbine engine maker, instead of a print. If the candidate as worked from a print, had to dig through layers of OEM specification for all the pertinent data, and worked under a fairly strict quality system, he should have the skills we need.